Metal roofing is a solid choice for any home. Are you in the market for a new roof for your home in Texas? If so, there are a lot of roofing materials to choose from, but if you’re looking for a durable, long-lasting option, a metal roof might be a great option for your needs. It’s designed to last – While a standard asphalt roof will typically last about 20 years, metal roofs are designed to last anywhere from 30 to 50 years. The longevity of metal roofing alone makes it a great investment. It can stand up to the elements – Metal roofs are so durable that some can withstand wind speeds as high as 140 miles per hour. Additionally, metal roofs are impact-resistant, and won’t crack or corrode. Metal roofs are so durable that you may even get a discount on your homeowner’s insurance! It’s low-maintenance – Because metal roofs are so durable, it drastically reduces the amount of maintenance required to keep metal roofs in great shape. Necessary repairs will also be few and far between with a metal roof. It’s an environmentally friendly material – If choosing green roofing materials is important to you, you’ll be glad to know that metal roofs are made from up to 95 percent recycled materials and are also 100-percent recyclable. It’s aesthetically pleasing – Not only is metal a durable and long-lasting roofing material, but it’s also an attractive roofing material that can increase your home’s curb appeal. Is a metal roof the right option for your home? 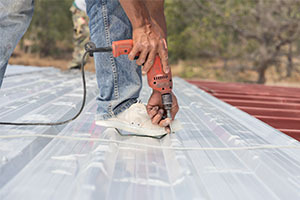 Whether you’re interested in a metal roof for its ability to withstand even the harshest weather conditions, because of its long lifespan or any other reason, it’s important to find the right roofing contractor to install your new roof. 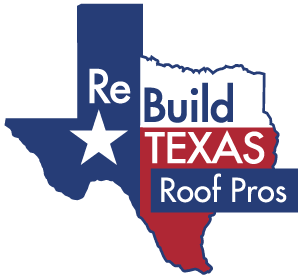 Luckily, here in Texas, it’s easy to find the right roofers because you have Rebuild Texas on your side. We’re your top one-percent roofing contractor. We offer unmatched attention to detail and expertise, as well as financing options and military incentives. Don’t wait; contact us today for your free roofing estimate.